On March 2, most of Virginia experienced a prolonged period of high intensity winds at speeds of nearly 70 MPH. This was a long day for all volunteer and career first responders, beginning for some at 5 a.m. and not ending until well after dark. 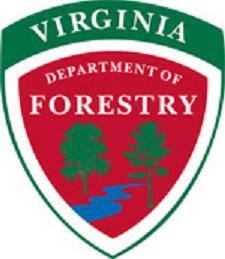 The Virginia Department of Forestry was very active during that day. This is my second spring fire season and I had never responded to so many incidents in one day. Needless to say, it was a learning experience. In the NOVA work area we normally cover five counties with four full-time wildland fire responders. We are able to do this effectively thanks to our dedicated part-time firefighter crew. These are folks who, on their own initiative, have become trained in fighting wildland fire. Some are career firefighters and some have normal jobs unrelated to emergency response. All are excellent people who give us their time when they can. The ones we see most often are our bulldozer operators. I had one part-time operator and bulldozer with me on March 2 as I went from fire to fire. The dozer may not be the first to arrive, but it is often the last to leave. Volunteer firefighters who had been dragging hose through the woods since before the sun came up could sit back and have a breather while the big tractor went to work. They could go to the next incident knowing that we would finish what they had started. A bulldozer might seem a strange choice of equipment for someone unfamiliar with wildland fire. I assure you, it is one of our most valuable assets. A bulldozer can plow or push a quarter mile of fire line in the time it would take a six person crew to do half as much with pulaskis and fire rakes. The big machine can move logs and scrape away the thick layer of duff exposing the bare mineral soil that will stop a fire quicker than water. The dozer is also the best sawyer you will ever meet. What the machine lacks in finesse it makes up for in power and toughness. There are many trees that are too dangerous to cut; killer trees and widow-makers that we cannot safely get close to on foot, but the bulldozer can. Though not ideal, it will take a knock on the head from a falling branch much better than your average human will. These machines are not invincible. They are governed by humans and therefore subject to human error. They break down, get stuck, and require an unearthly amount of grease on a seemingly daily basis. Loading and unloading them from the tall, flatbed trucks is an experience all in itself. But when the chips are down, the worth of these big tractors is immeasurable. Everyone’s happy when the dozer shows up. It doesn’t hurt that they look cool too. Previous PostGood Fire or Bad Fire?